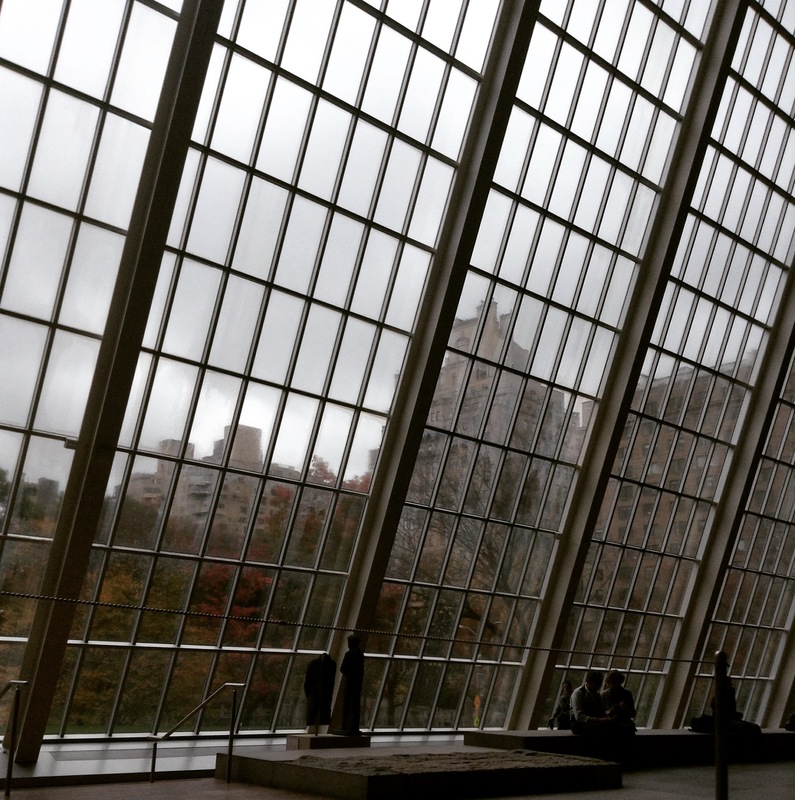 In my ideal world, I’d visit an Art Museum every Sunday…but I’d still live in the country. (So I guess I’d have to live in Connecticut–oh the tragedy). I could sit here, with a pencil and drawing book, or pen and journal, and stare out at the New York skyline. When I’d tire of that, I’d take my walk. I’d discover the ancients, the Byzantium, early American design, and walk and walk with my touristy headset messing my hair, listening to the latest commentary by the museum’s curator or director. This particular day, our family of six purchased our headset rentals and wandered the halls until we found the American piece, Washington Crossing the Delaware — an iconic piece from the American Revolutionary War. 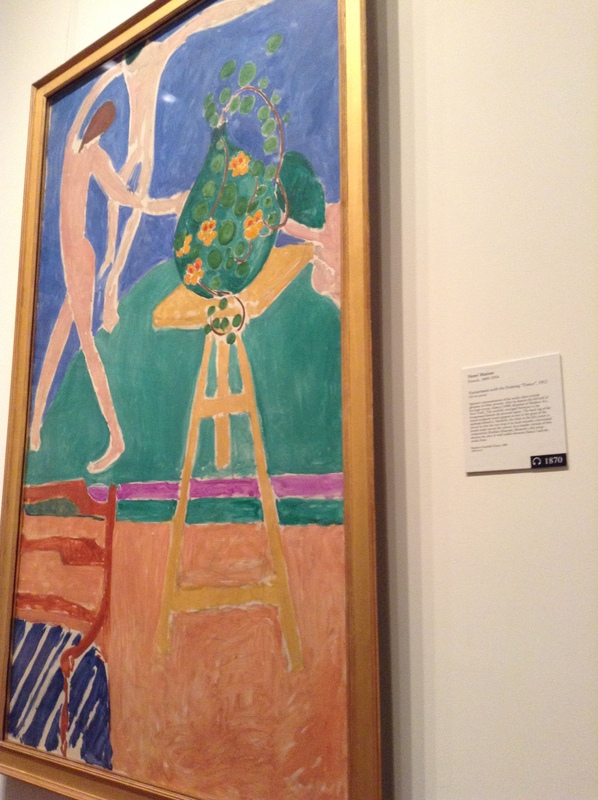 I may never have known about this enormous piece, except for my husband’s penchant for American history. My family may have lasted longer in the museum except that as we stood back with the crowd gazing intently at the oils, the brush strokes, mostly just gazing at Washington’s remarkable ability to balance, we saw the museum guard step toward us to say, “No no no, do not touch”. Our little guy had his finger on a piece behind us. With all the museum and gallery exposure our family has had, I overlooked outlining the rules of a museum this day. There are more wings than time here at the Met. Not as grand, or foreboding, as Paris’ Louvre, but still weeks, months of wandering to absorb all the history and beauty in this one building. 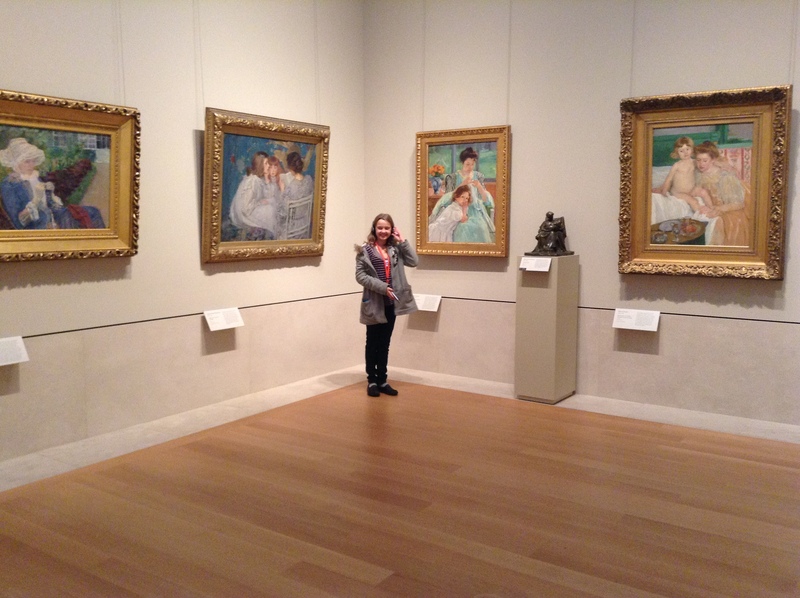 Madelyn discovered Mary Cassatt. An American oil painter in the time of Impressionism. 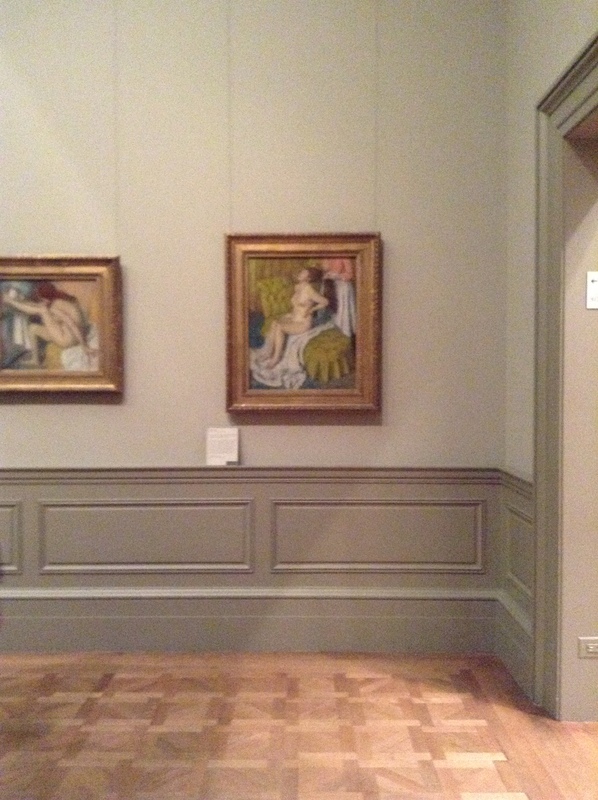 Cassatt is well known for her Mother and Child picture on the far right. Mary Cassatt’s The Cup of Tea depicts the colours of oils that I prefer. 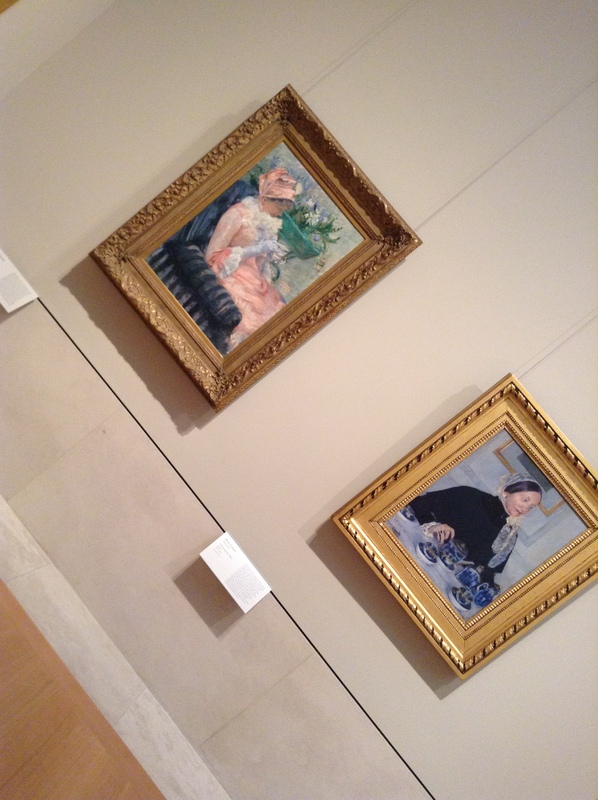 Manet’s dark colours, or Cassatt’s Lady at the Tea Table on the right don’t capture my attention as pastel blues and greens. 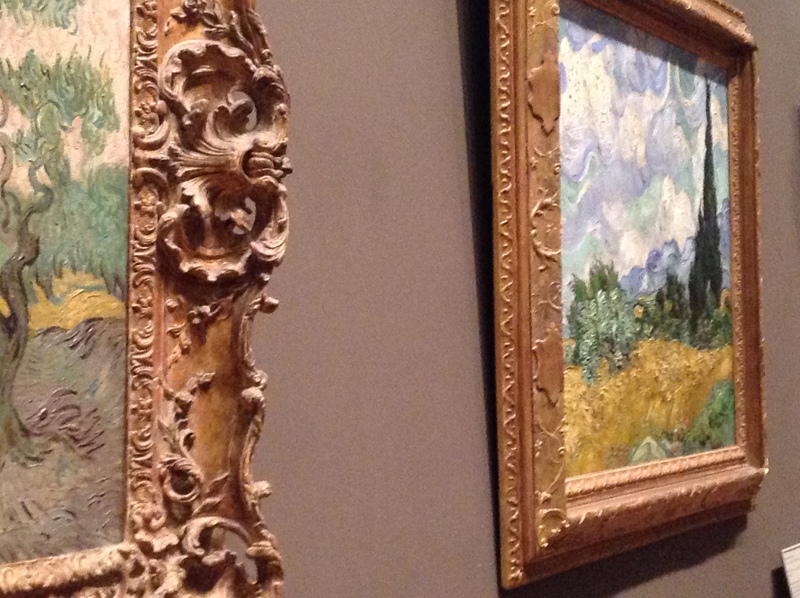 I can’t even believe I stood right next to these (yes, probably a little closer than I should have–I marvel at the brushstrokes…really, not trying to sound artsy. How does one make such broad brushstrokes, almost messy, layering in so many colours and come out with a clear image? Clearly, one is standing farther back than I am). 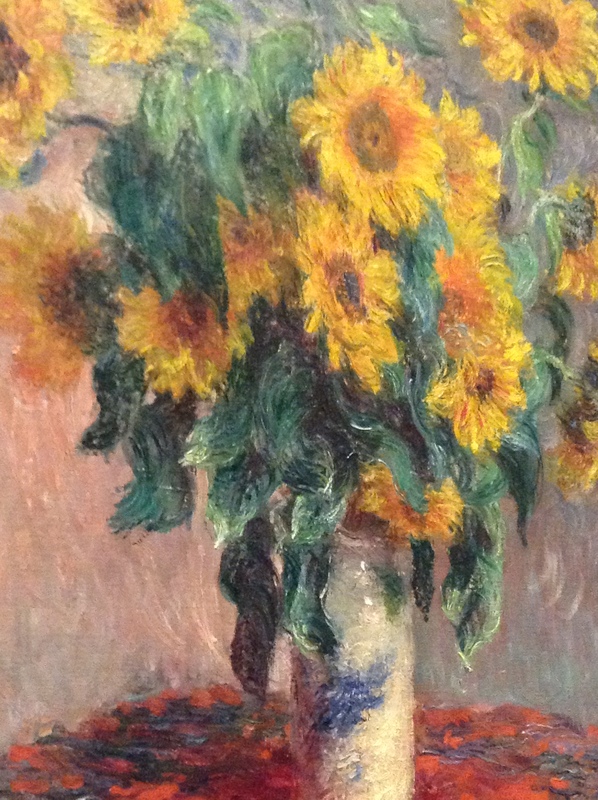 Would you guess who painted these sunflowers? If you guessed Van Gogh, you have remembered well that he painted many. 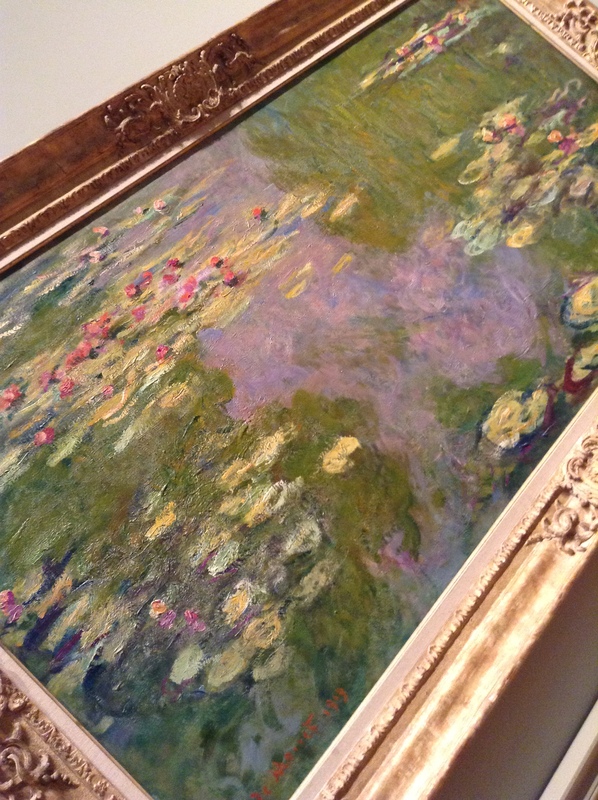 These, though, are Monet’s efforts. More real to life, these are my preference. Do you, the reader, know who painted this? 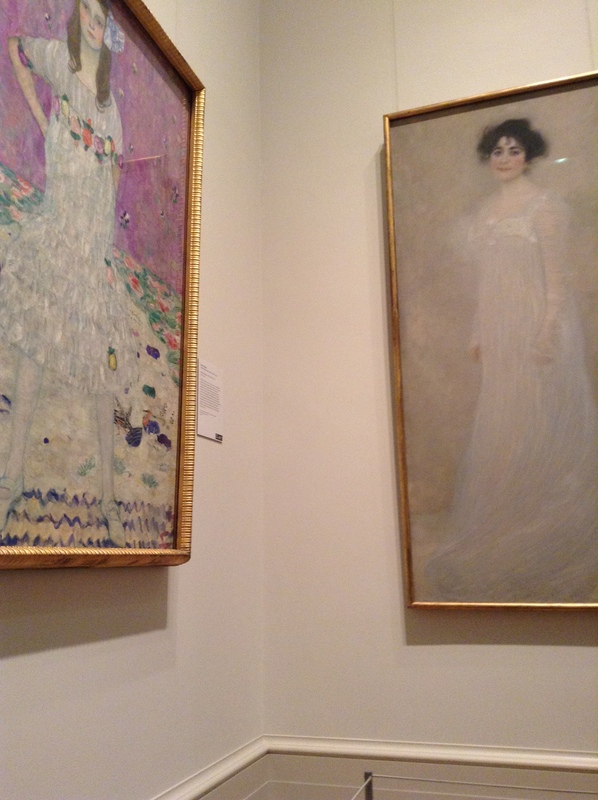 I know the artist’s daughter stood for the piece on the left. The headset told me she was headstrong and full of verve. But the artist’s name, I do not remember. 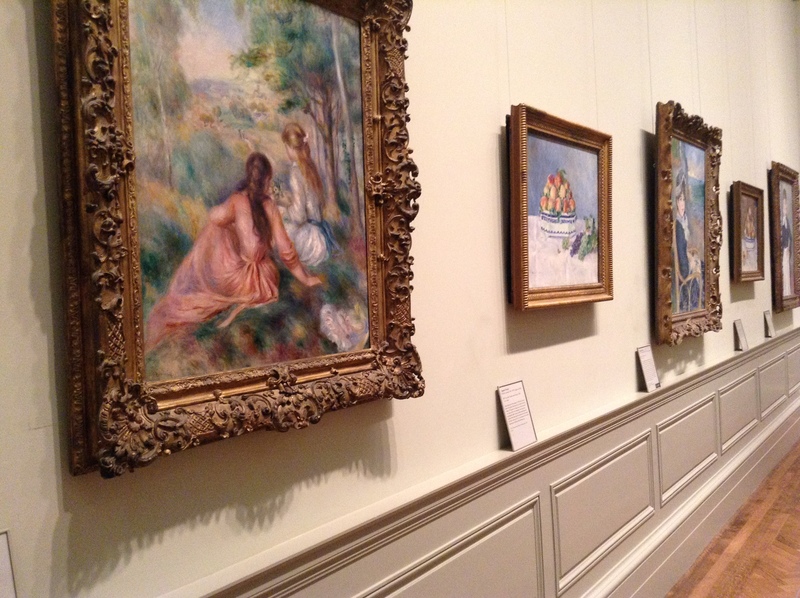 The vivid faces and bursts of colour in a Renoir are the perfect mix of realism and impressionism for my eye. 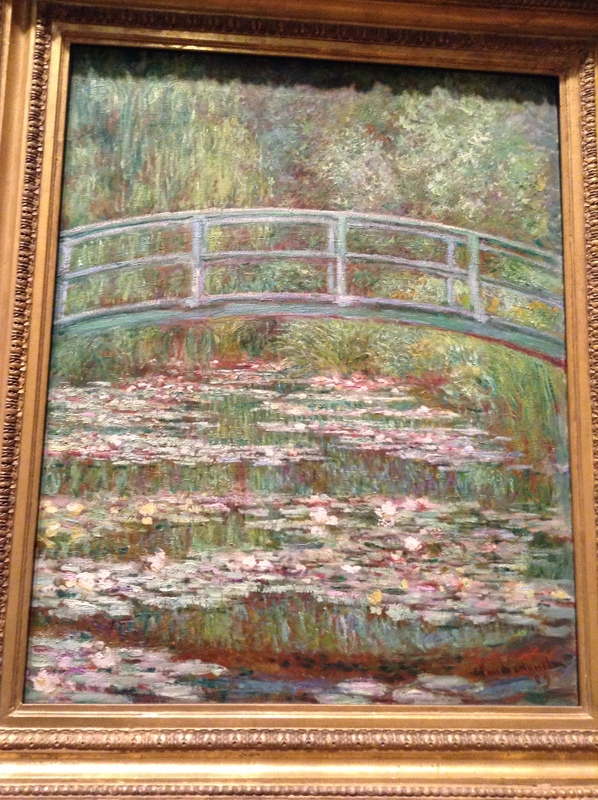 Alongside Monet, they often painted similar scenes. 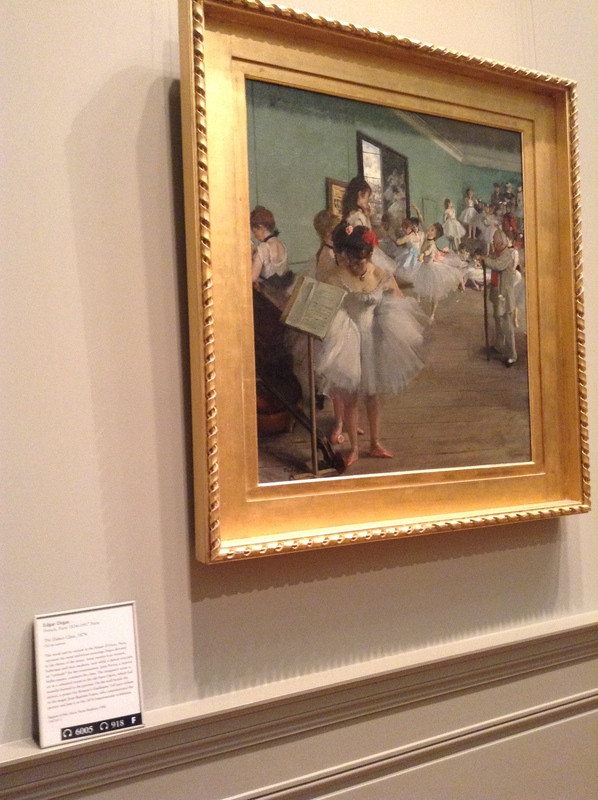 Auguste Renoir painted this in hopes of fundraising. The critics didn’t like it. 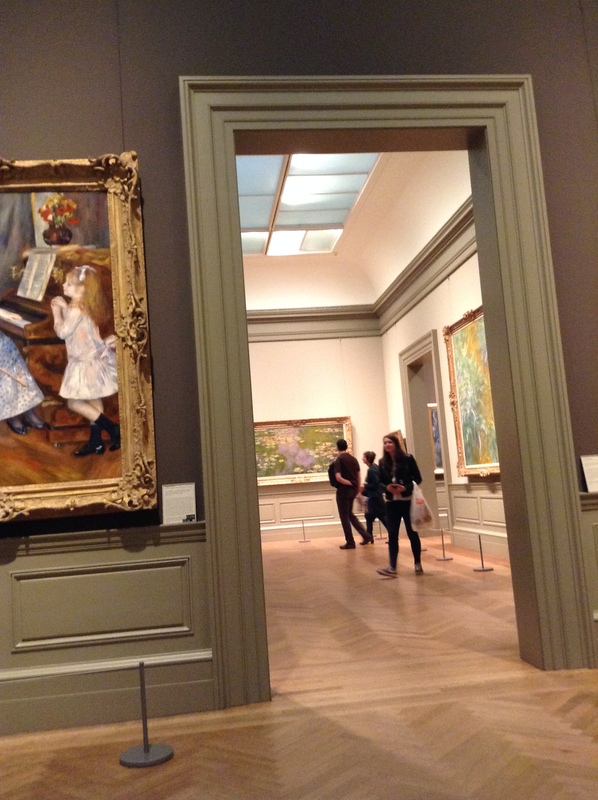 Rejection and Renoir. Hard to imagine that Renoir was rejected. But tis the life of the artist. The Daughters of Catulie Mendes, Huguette, Claudine, and Helyonne were immortalized for our enjoyment though…imagine three sisters posing for a picture. I can only imagine what happened behind the scenes. Good times. 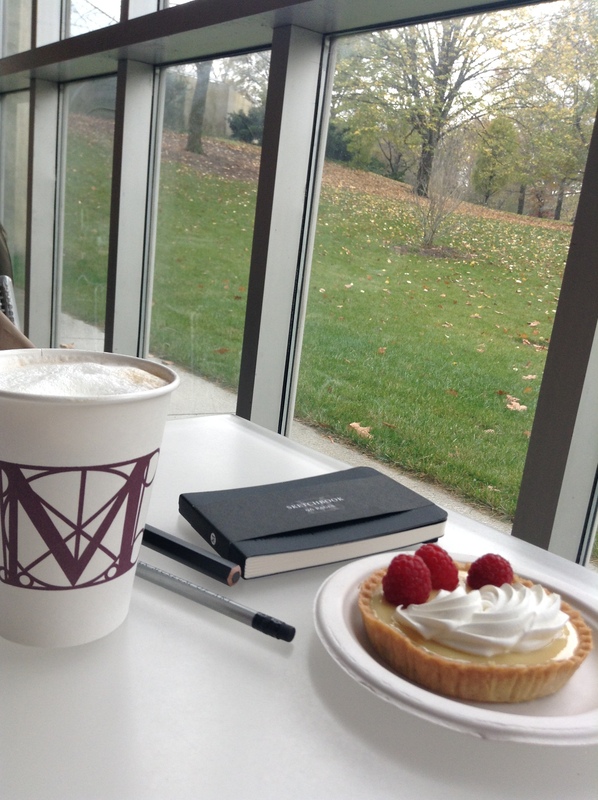 If all that art wasn’t enough happiness, enjoying a cappuccino and zesty lemon tart as I draw my view of Central Park are the perfect finish to an idyllic day. I have a few minutes before my family returns from Central Park Zoo. 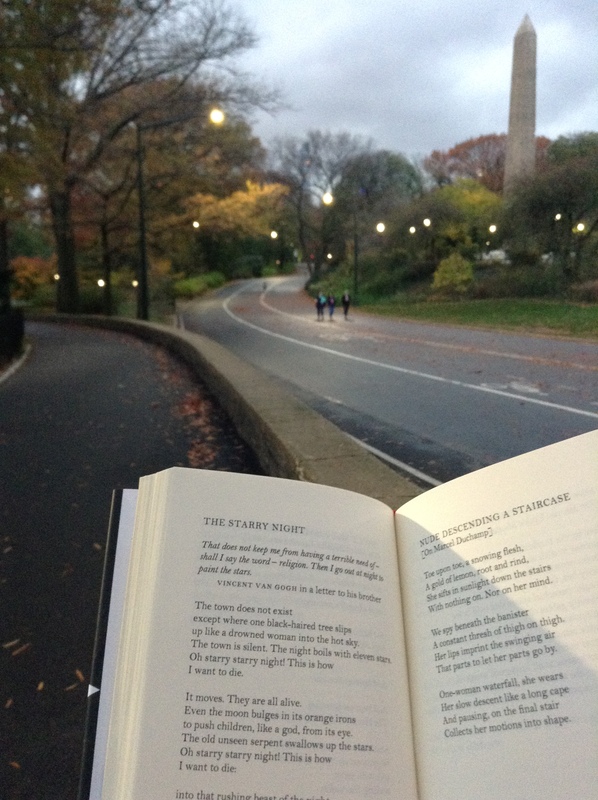 So why don’t I take this poetry book on art and wander through Central Park? As I walk meditatively to the right of the wide lane and absorb a poem on Van Gogh’s Starry Night, I breathe in the remnants of this perfect day. 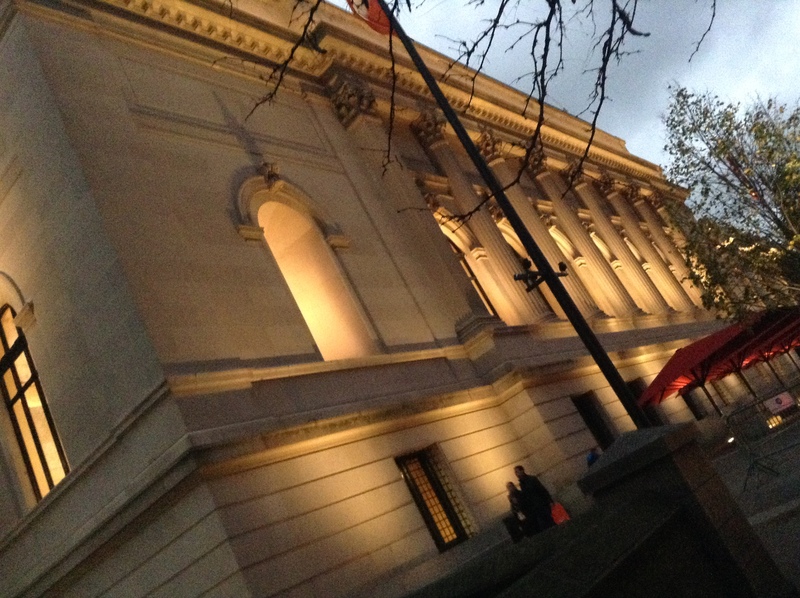 Winding around the building, my path leads again to the lit Metropolitan Museum in the ashening sky. 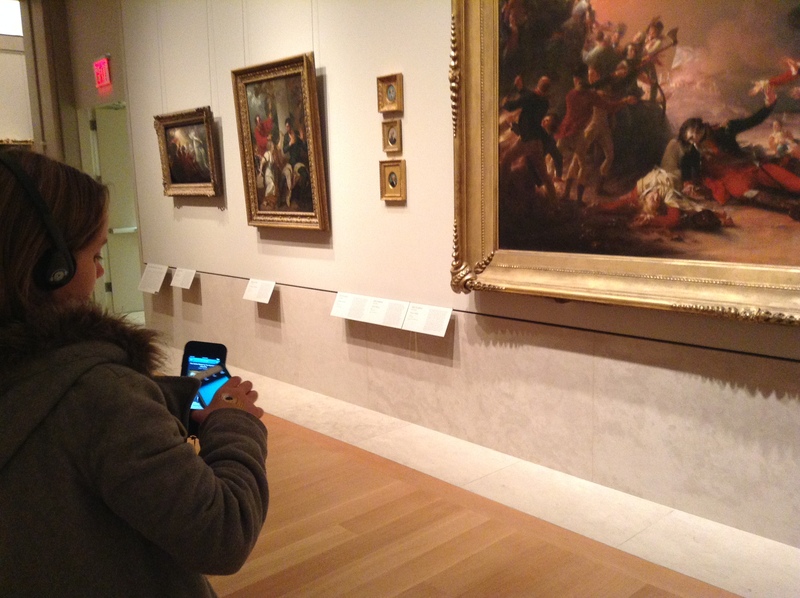 Alas, I may not return every weekend, but I can always tap on my Met app and sip a cappuccino. To look upon a Grecian urn.